Board of Directors meeting minutes unless otherwise stated. HISTORICAL DOCUMENTS AVAILABLE ON REQUEST FROM THE BUSINESS OFFICE. Voting Status: 37 members checked-in, 33 absentee ballots received, and 10 proxies received. Quorum. Welcome and Introduction: New members introduced themselves and Dempsey introduced the board members and staff. Frankie Small, Firewise Coordinator: This year, Frankie and Isaac attended a Firewise training in Olympia. Also, LISE applied for and received a $500 grant that was used to rent a chipper and a truck with 10 members helping firewise around the Clubhouse. Members are asked to provide the number of hours they have worked on firewising to continue qualification as Firewise Community. Frankie has served 16 years as Firewise coordinator and proud that LISE was the 2nd Firewise Community in Washington state and 34th in the country. After submitting 2018 report, Isaac Colgan will be taking over as coordinator. 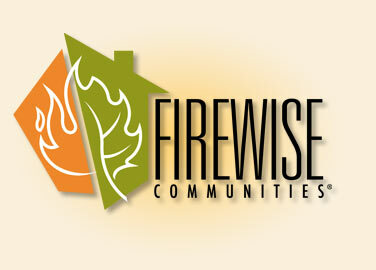 Additional information about firewising is available at www.lisecc.com/firewise. Mark Sexton made a motion to approve the August 26, 2017 Annual General Meeting minutes. Tom Pawlak seconded. The motion passed. Slater gave lawsuit update. Entire federal case was eventually dismissed on a series summary judgements. State court lawsuit by LIHA has not been settled yet, however, our attorney has made a request that it is voluntarily dismissed. Lummi Island Land Co. case is also still pending, but, our attorney is going to take the ruling of the federal case and pursue foreclosure on the LILCO property. With the resolution of lawsuit, Slater is hopeful that LISECC’s insurance rates will return to a more reasonable rate. Member wanted to confirm that action will be taken against the plaintiffs who have become delinquent. Slater emphasized that the board is doing what it can within our means. Member addressed lack of communication within community. Paul Dempsey moved that the Communications Chair of the new board coordinate a study to examine the possibility of creating an e-newsletter with minutes and regular communications from the board. Debbie Pawlak seconded. Passed. Smith reviewed the financial reports. Smith mentioned that the profit that we showed at the end of 2017 was in part due to staffing changes that took place in 2017. The board took the excess money and put $40,000 into our reserve account. Member asked about the amount that the plaintiffs currently owe to LISECC. Dempsey said that 5 plaintiffs are significantly delinquent, totaling about $120,000. Our attorney has started foreclosure process and pre-foreclosure demand letters were sent on August 1. Cash summarized many of the things the Operations staff has accomplished in the last year including a new ramp being installed at Marina with thanks to Brian Parberry and Chris Immer, the installation of security cameras at the shop and entrance to the lake, Wi-Fi being added at the cabana, new garage doors on the maintenance shop, and the purchase of a new lawnmower and brush attachment to help with road cleanup. The DNR renewed our Marina Facilities Permit. We received a 10 year Gold Optimization Certificate for our water system. Cash noted that the small docks at the marina need some work and we are looking at adding new rails for the docks. Member requested that we add safety rails for moving from one dock to the next. Member inquired about adding life jackets for children at the docks, as well as adding several more life rings for the docks and the lake. Member suggested organizing a water safety class. Isaac mentioned the docks will be removed at end of September/early October depending on weather. A few significant leaks have been detected including 2 faulty meter boxes. Discussion of dogs at the lake and the DOH regulations. Question about adding dog collection bags in various areas around Scenic Estates. Cash offered the idea of putting a fence around the lake, however, member expressed concern about adding a fence because it would prevent someone from being able to help if needed. Jon Van den Driesen volunteered to organize and build a kayak rack at the marina. This has been a very positive year for Scenic Estates with a many accomplishments. Dempsey commended board members and staff for their hard work. It is important to remember it is about all of us working together to build a stronger community. Dempsey reviewed the items on the ballot. Dempsey opened the floor for nominations for Board Members: Meredith Moench nominated Ken Swanson. Member wanted clarification about guests and members using marina. Ron Bain motioned for adjournment of meeting. David Canterman seconded. Meeting Adjourned 12:15 pm.